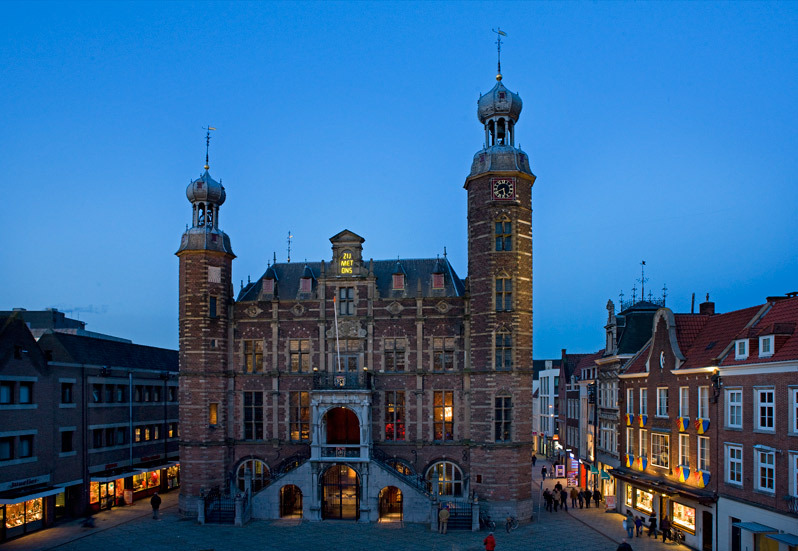 Once again, the façade of Venlo's City Hall catches the eye. With the newest contribution to art project De Nis, artist Martijn Engelbregt takes a stand against us-versus-them thinking by using three words only. 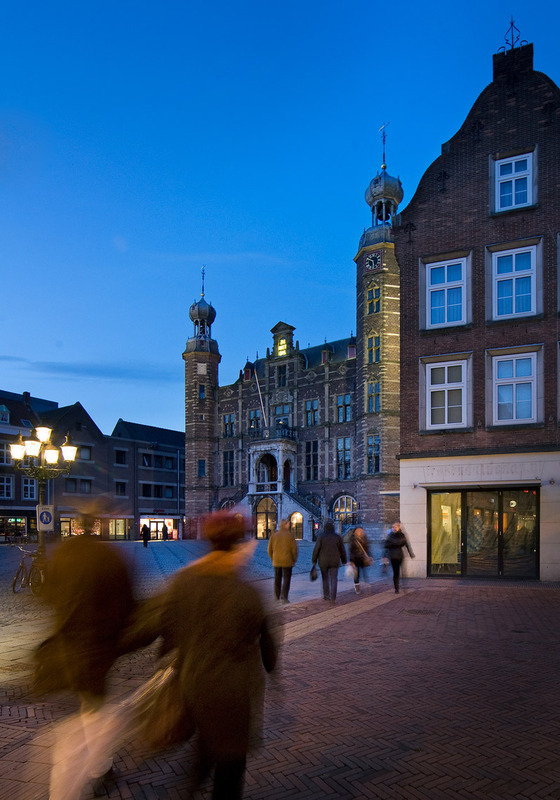 The City Hall’s façade seems an ideal location for the artist’s appeal: after all, this is a place where opposed parties discuss their points of view, negotiate and finally try to compromise. 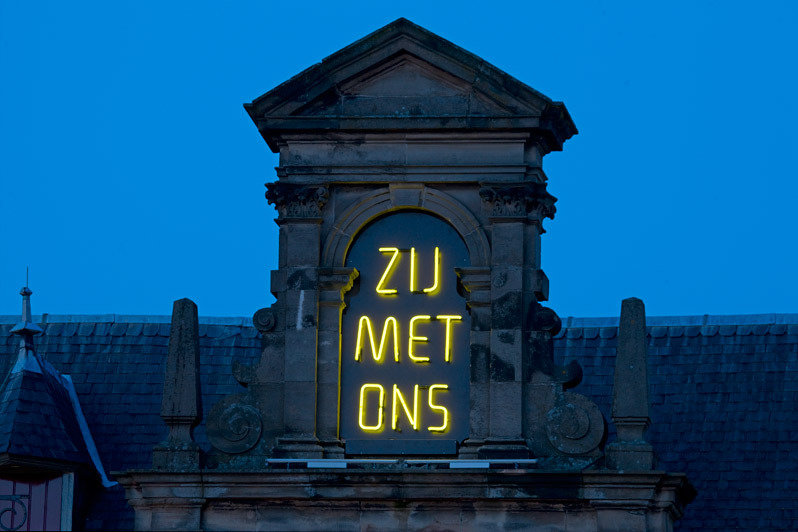 ZIJ MET ONS: Dutch for "BE WITH US" and, in the same time, "THEM WITH US" reads the neon sign on the façade of the ancient City Hall of Venlo, the birthtown of xenophobic Dutch politician Geert Wilders. The words derive from the edge lettering on Dutch coins: GOD ZIJ MET ONS (God be with us). By leaving out the word GOD, the meaning of the well-known phrase changes into an appeal to be 'with each other', thus breaking with the pattern of 'us' vs. 'them' thinking in a simpe manner.